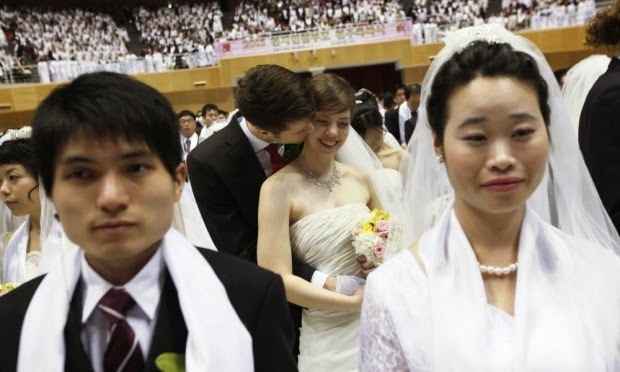 In surprising news, because it's hard to imagine that any country had adultery as a criminal offence, South Korea has been reported to have recently legalized adultery. Not that they just said to their people to go ahead and have extra-marital affairs, but but they won't go to jail for it. The law that made adultery a crime has been repealed. South Korea’s Constitutional Court has struck down a 60-year-old statute outlawing adultery under which violators faced up to two years in prison. The nine-member bench ruled by seven to two that the 1953 law was unconstitutional. “Even if adultery should be condemned as immoral, state power should not intervene in individuals’ private lives,” said presiding justice Park Han-Chul. The court had previously deliberated the issue in 1990, 1993 and 2001, and in each case dismissed the effort to have it repealed. In 2008, five of the justices deemed the law to be unconstitutional, arguing that adultery could be condemned on moral grounds but not as a criminal act. In the past adultery could only be prosecuted on complaint from an injured party, and any case was closed immediately if the plaintiff dropped the charge - a common occurrence that often involved a financial settlement. The law was grounded in a belief that adultery challenged the social order and damaged families, but critics insisted it was an outdated piece of legislation that represented state overreach into people’s private lives. The debate over its future simmered away for some time, bubbling over from time to time especially if a public figure fell foul of the statute. Women may have also had a say in the repeal of the law, as more freedom for women over the years led to more numbers who had opportunities to cheat. Or possibly, it was the cheated-on men who found themselves cuckholded and didn't want to be public laughing stocks that deemed the law no more unsuitable? The law was originally designed to protect the rights of women at a time when marriage afforded them few legal rights, with most having no independent income and divorce carrying enormous social stigma. “But it has long lost that relevance,” said Kim Jung-Beom, a lawyer and specialist on family law, before the judgement. “For a start, the number of female ‘offenders’ has increased, and in some ways the law has become a way of naming and shaming women,” Kim said. He also noted that other laws now provided women with greater legal security in their marriages, and a fair division of assets in the event of divorce.